New Orleans, La. 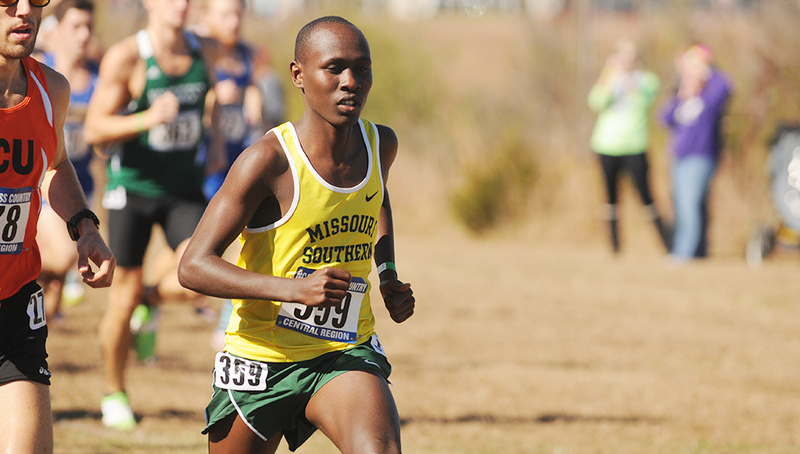 — Missouri Southern sophomore distance runner Vincent Kiprop has won his second National Cross Country Runner of the Week honor, the United States Track and Field and Cross Country Coaches Association announced today. Kiprop, a native of Kericho, Kenya, took home the title at the University of Arkansas Chile Pepper Festival this past weekend. The reigning national runner-up covered the 8K course in 23:03.9, almost a full 30 seconds ahead of the duo of Alex George and Frankline Tonui from NCAA DI No. 5 Arkansas. Not only was the competition impressive with runners from such DI schools as Arkansas and Villanova and the reigning DII champ Colorado Mines, but Kiprop’s final result was historic. Since the Chile Pepper Festival switched from a 10K to an 8K in 2013, no one has run a faster time. That includes such NCAA DI standouts as Kennedy Kithuka, Patrick Tiernan, Kemoy Campbell, Stanley Kebenei and Anthony Rotich. The time is also the fastest time recorded at a collegiate event this year in an 8k, regardless of division. Kiprop and the Lions will be back in action this weekend as Southern travels to Missouri S&T to compete in the Jackling Jocks Invitational.